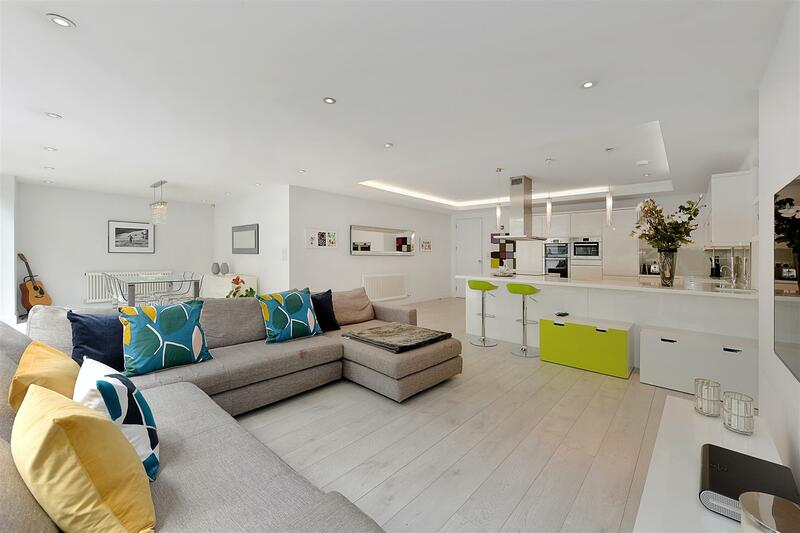 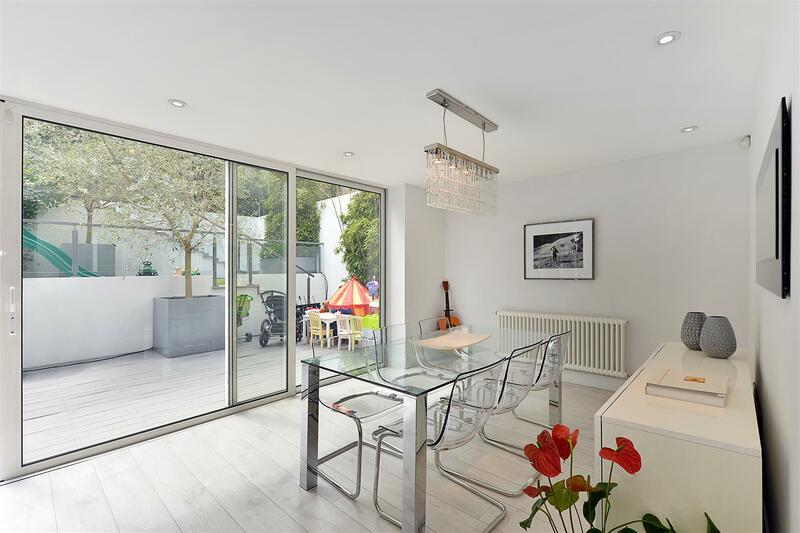 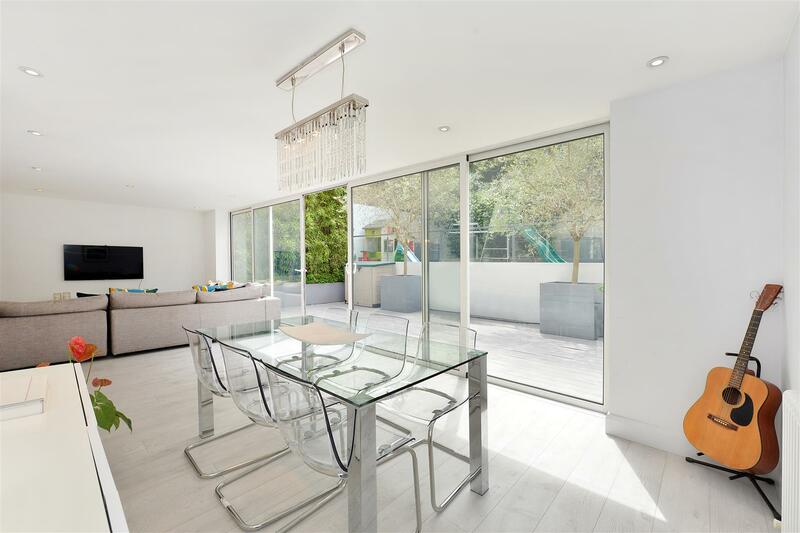 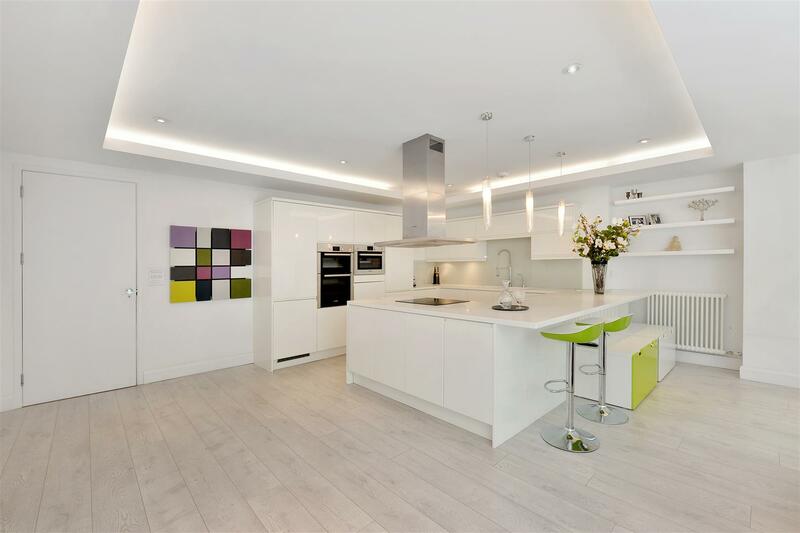 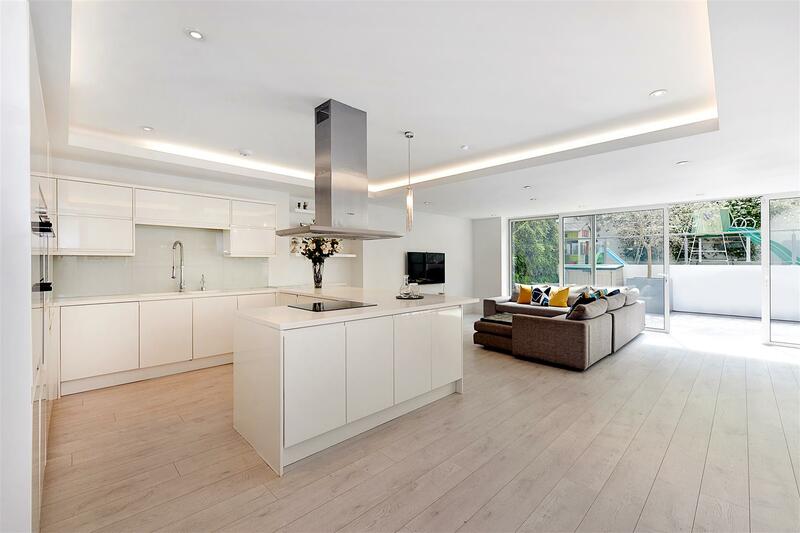 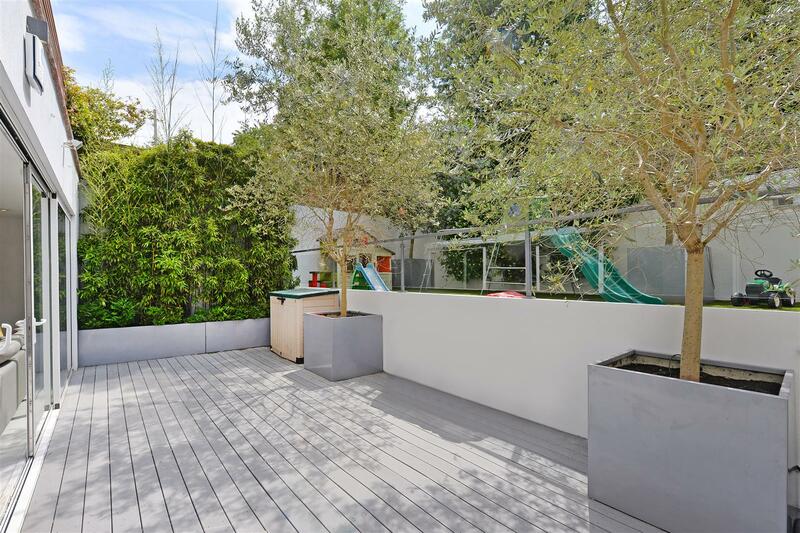 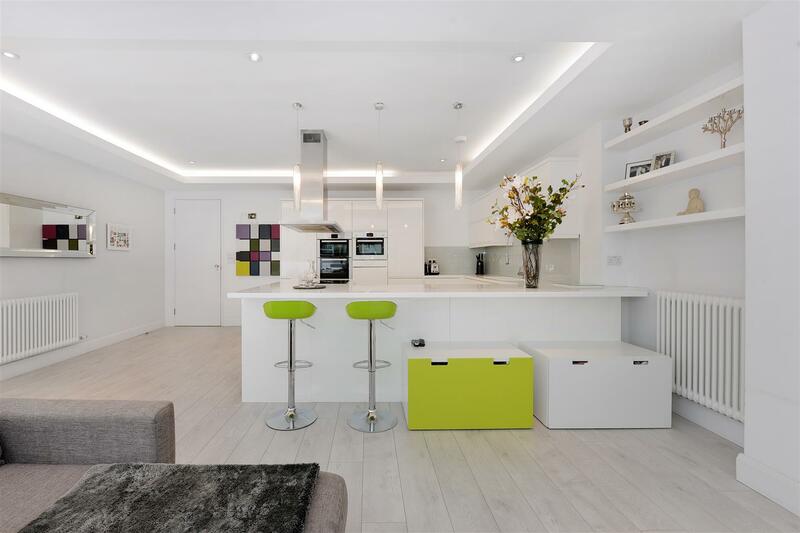 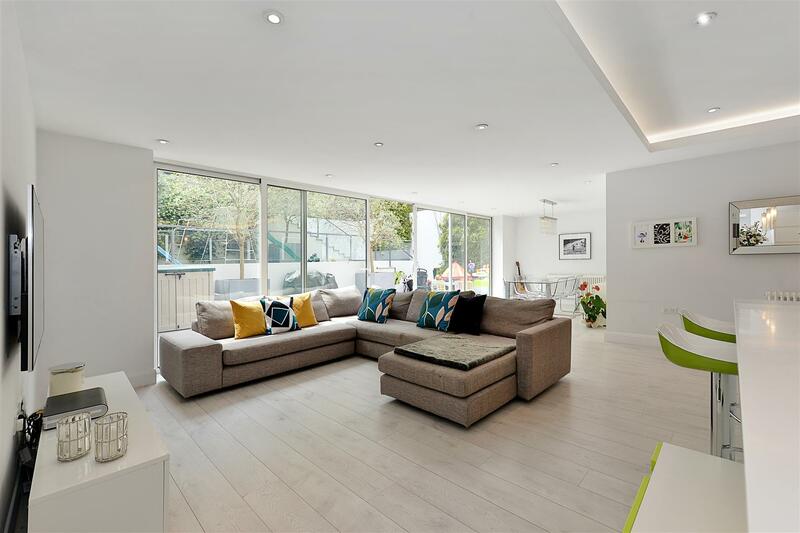 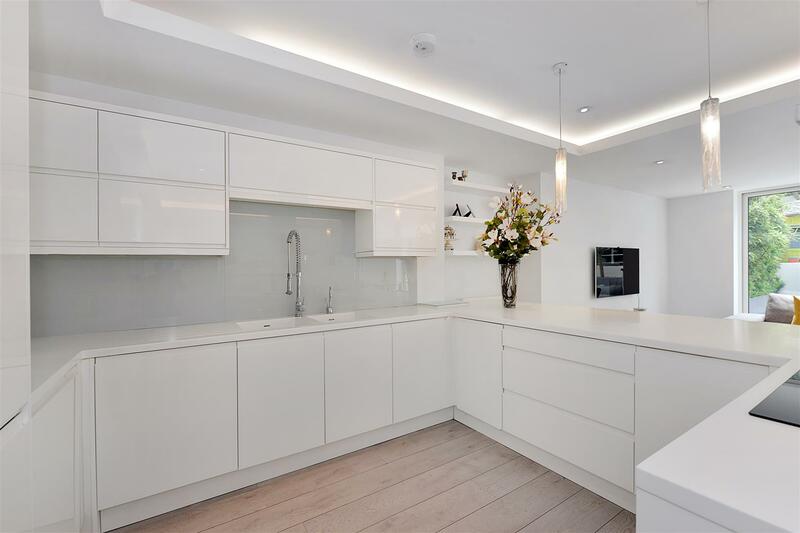 An outstanding home, approached via its own entrance, this excellent apartment offers flexible and well-proportioned living space featuring an exceptional double reception room with direct access to the private south facing garden. 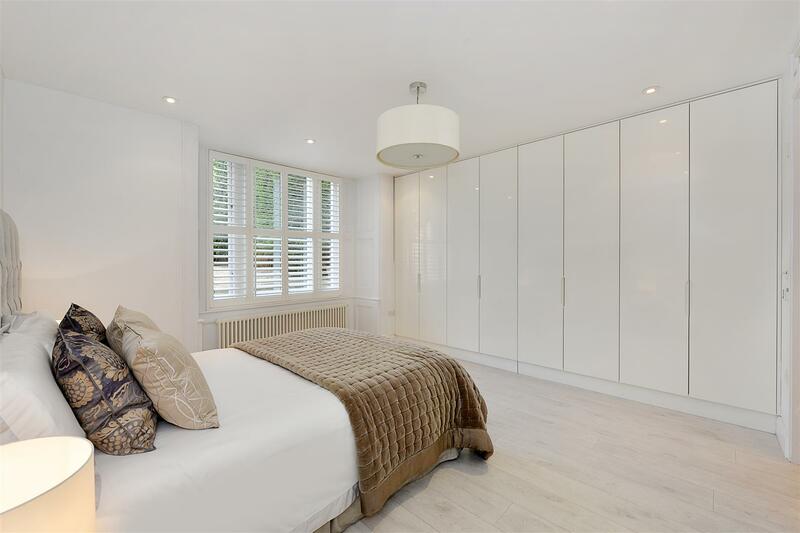 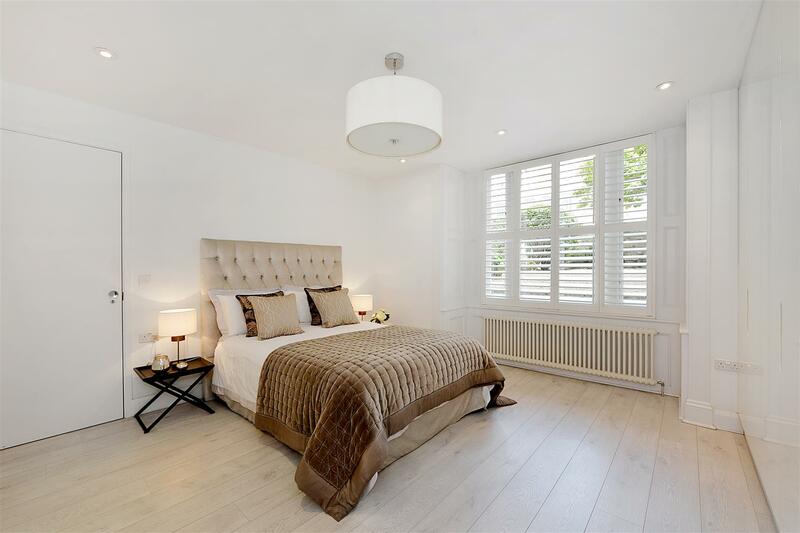 The apartment, which is beautifully presented, comprises a generous principal bedroom with an en-suite bathroom, two further bedrooms, an additional bathroom and a separate guest WC. 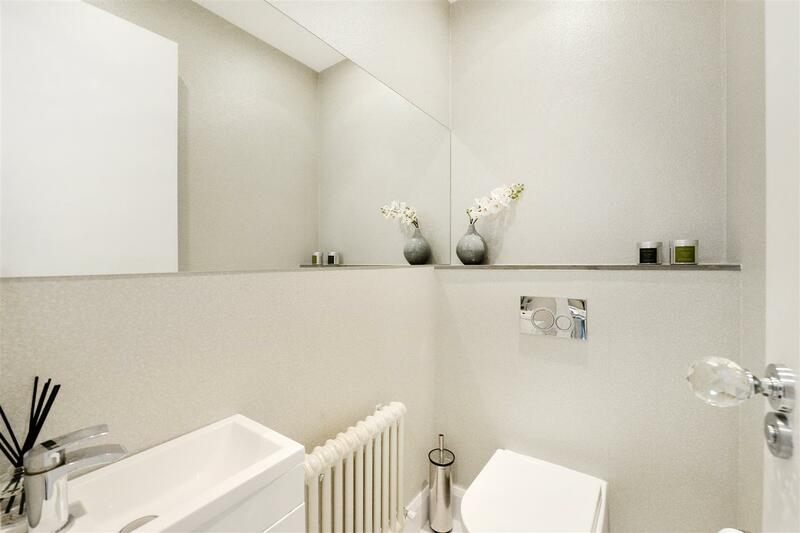 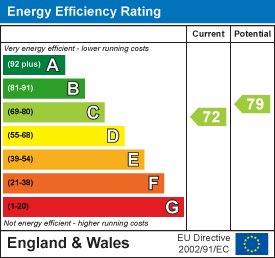 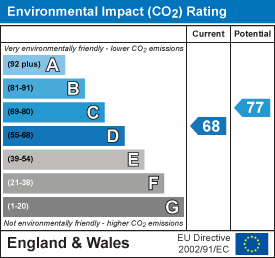 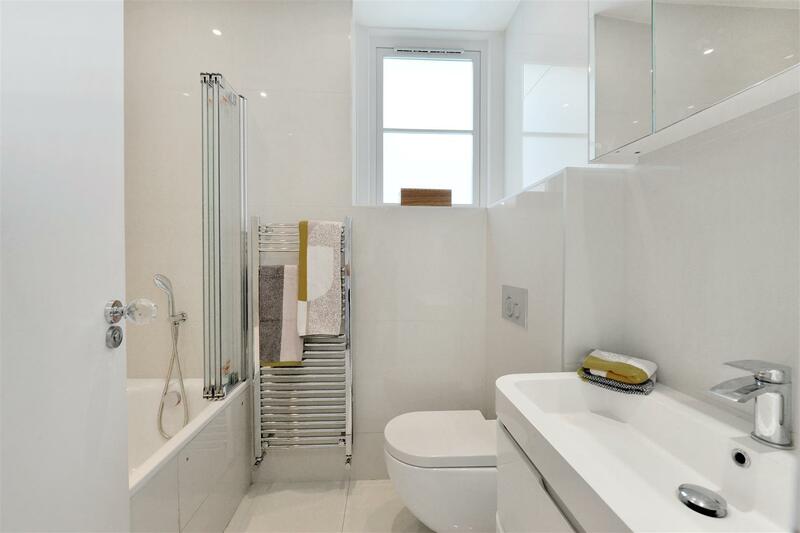 This apartment also benefits from a separate utility room. 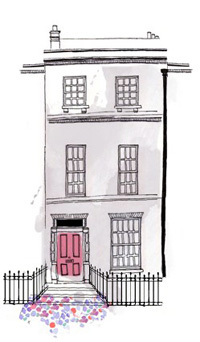 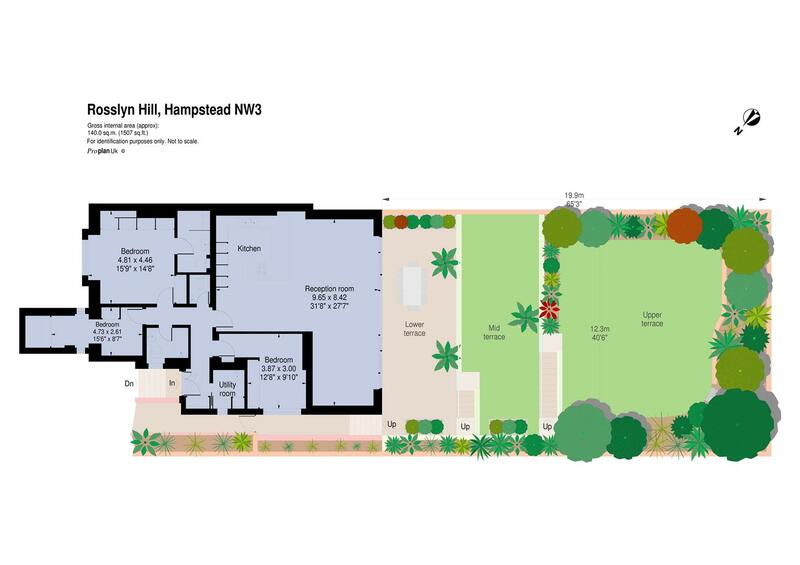 Planning consent has been granted (2017/5127/P) for a rear and basement extension to create a sensational five bedroom family home which would extend to around 2,400 sq ft.
Rosslyn Hill is conveniently located for the numerous fashionable cafes, restaurants and boutiques of Hampstead Village as well as the green open spaces of the Heath. 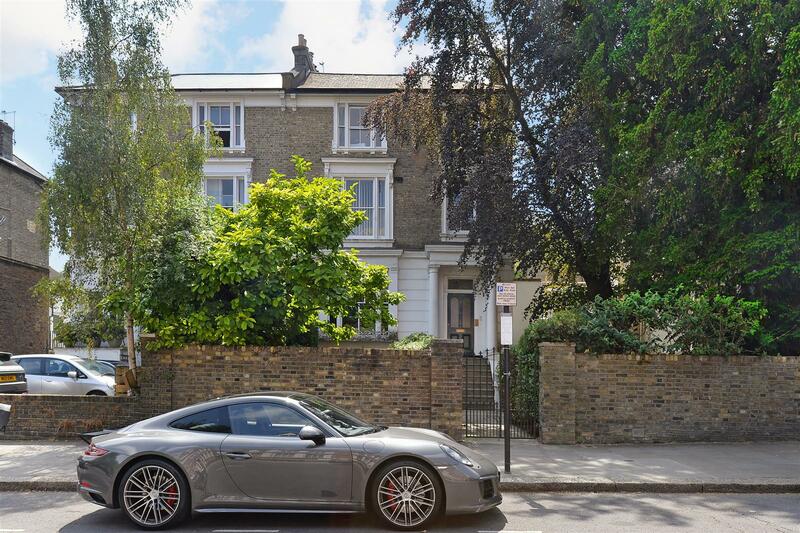 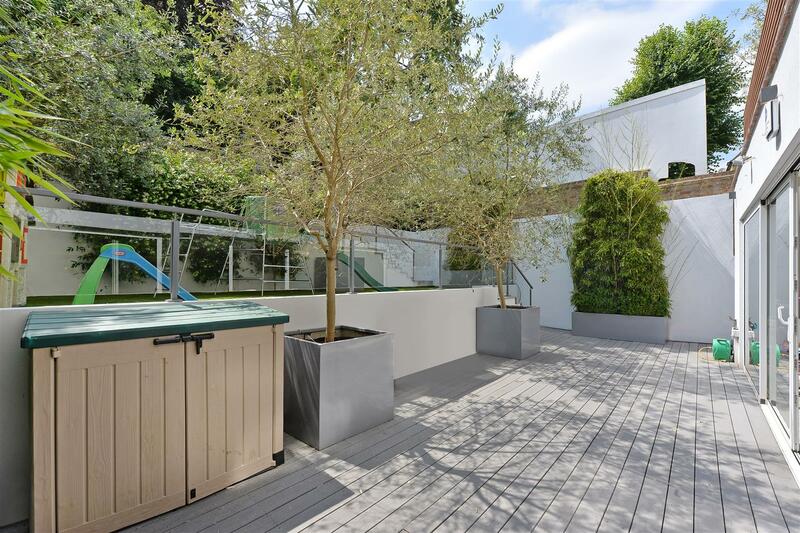 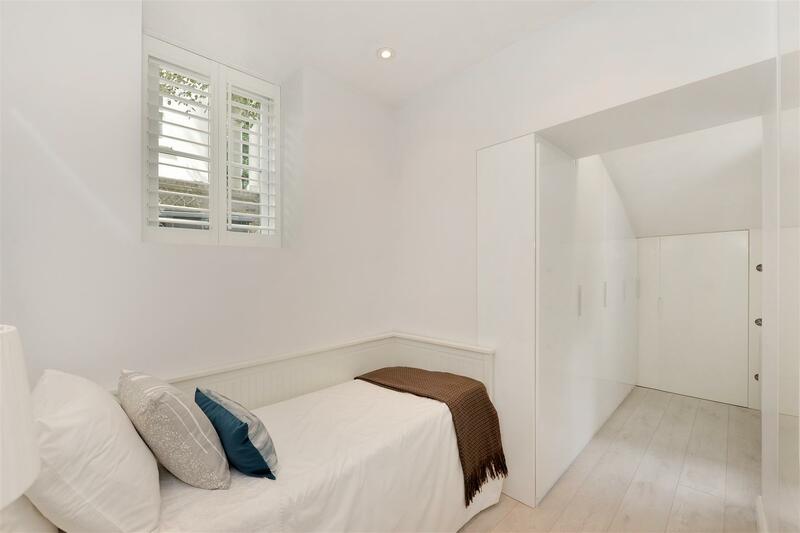 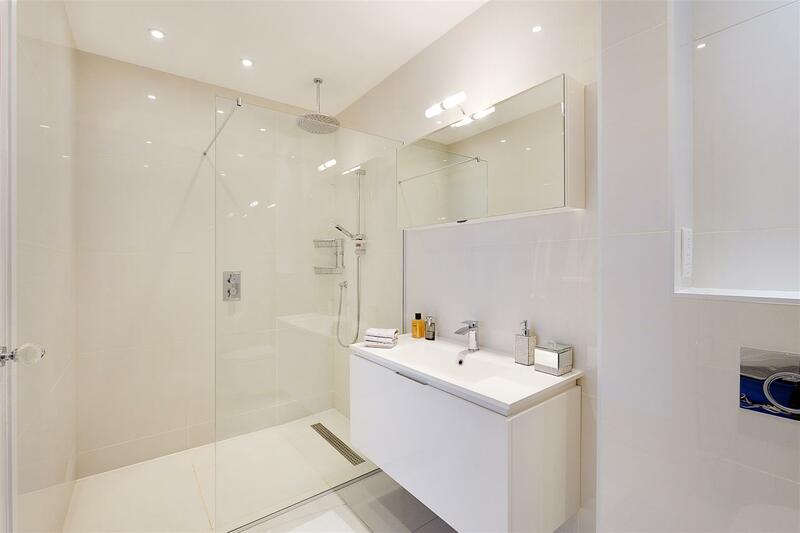 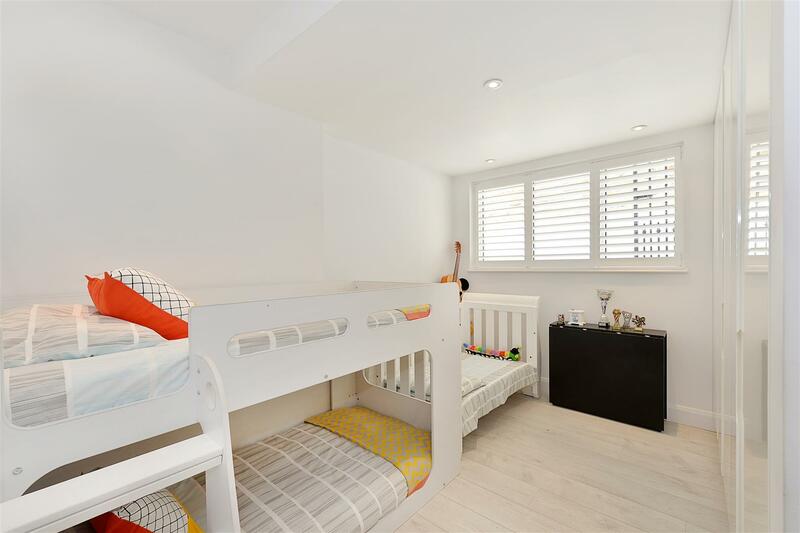 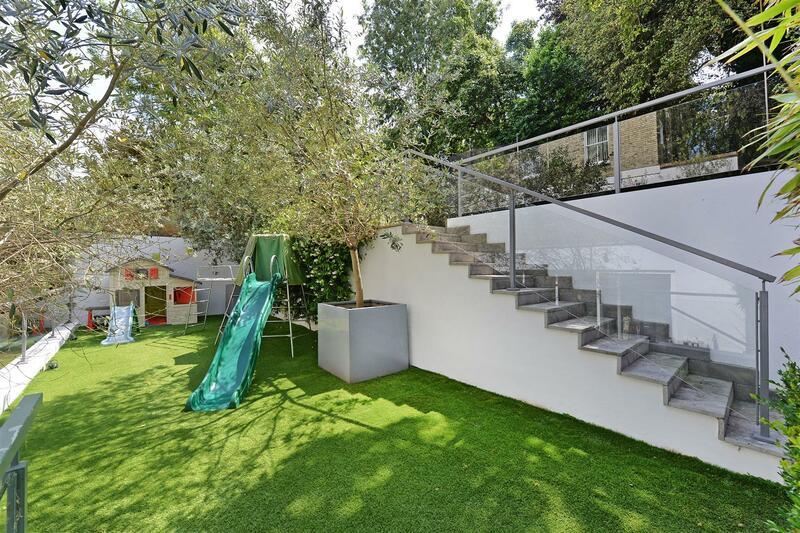 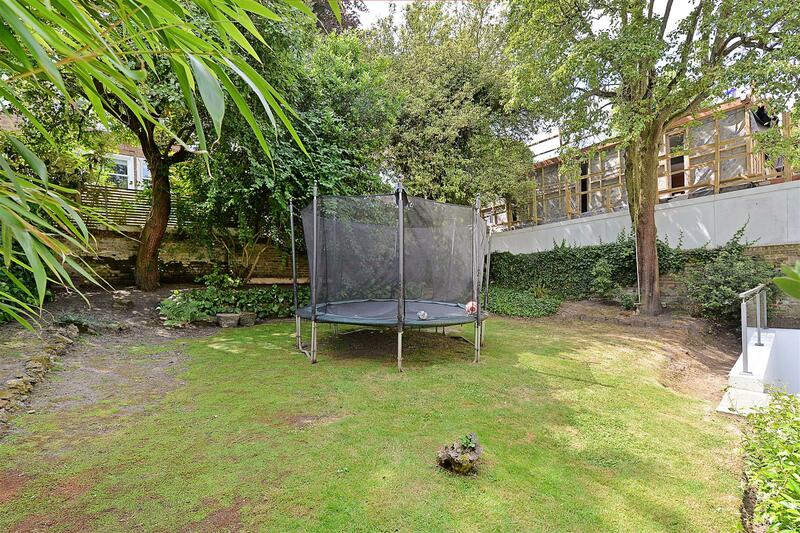 This property has excellent transport links located within walking distance – Hampstead (Northern line),( 6 minutes GoogleMaps), Belsize Park (Northern line) (9 minutes Google Maps) and Hampstead Heath (Overground) ( 8 Minutes Google Maps) as well as excellent bus routes within easy walking distance.